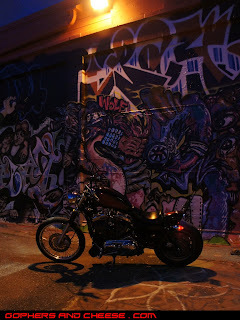 Here are color versions of the photos I posted yesterday. 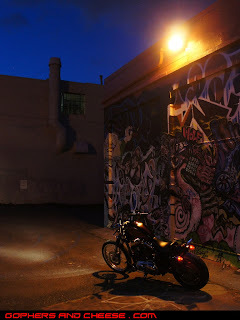 Again, these were taken behind the Intermedia Arts building on Lyndale. 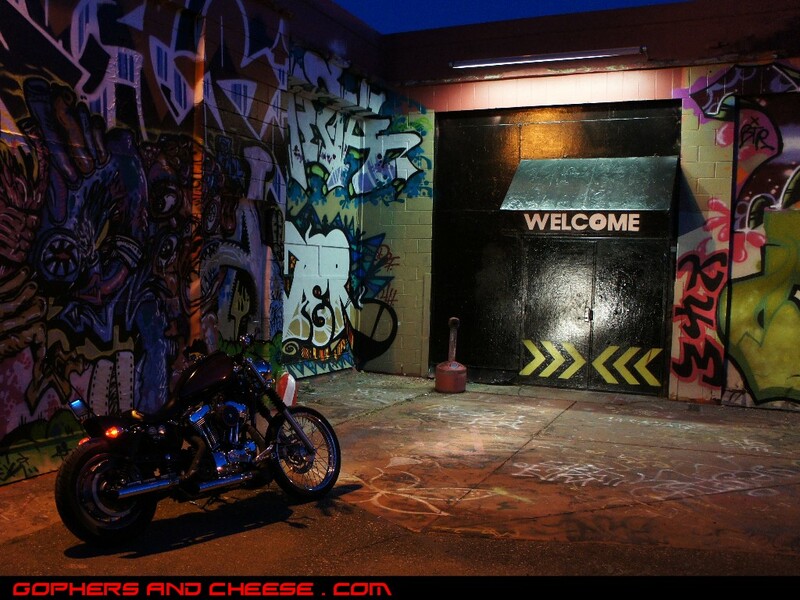 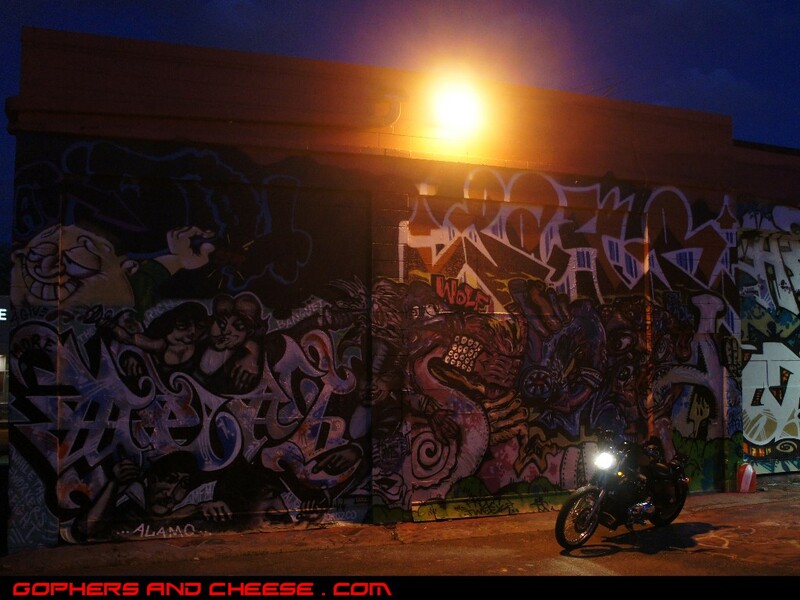 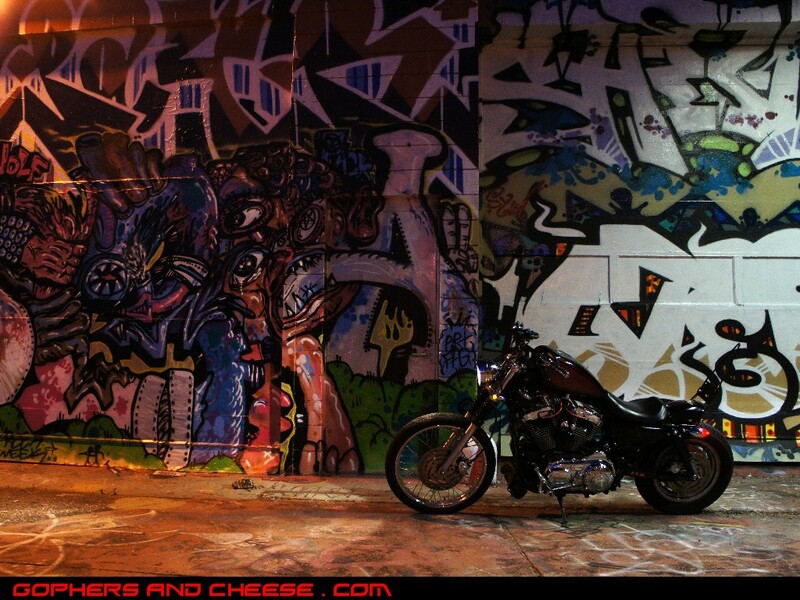 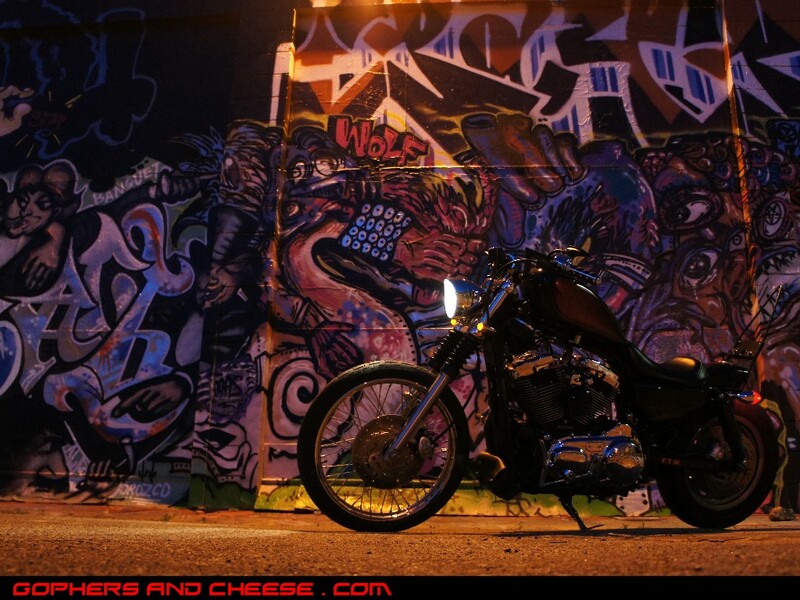 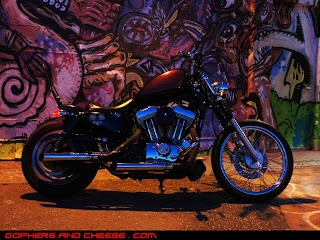 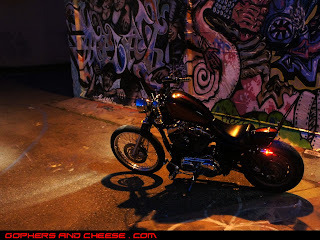 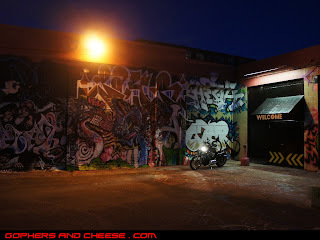 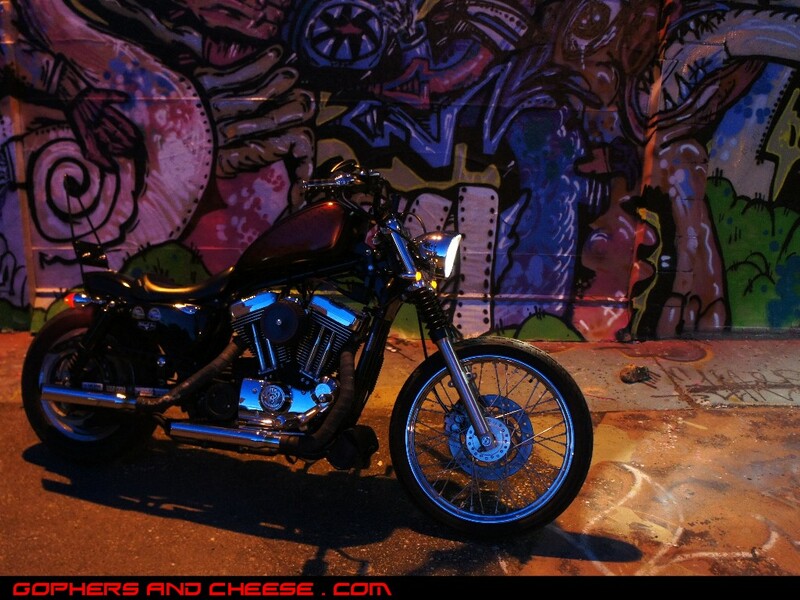 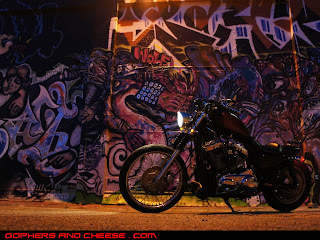 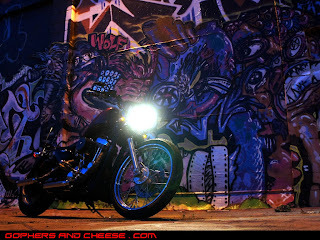 Sportster + Graffiti + Beautiful Evening + Good Camera = Great Pics. I love the way these turned out.